Sometimes you want to live large, sometimes you need to live thrifty. 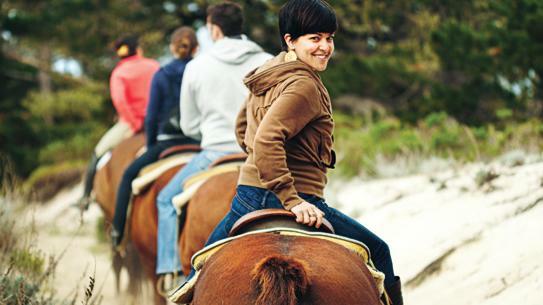 Maybe this is the summer you can vacation like a trust-funder. Or maybe you need to be your own Suze Orman right now, pinching every penny. Either way, Carmel can make it happen. After all, this beautiful little town on the Monterey Peninsula was settled by impoverished artists seeking inspiration to write and paint. Then it was invaded by Fortune 500 types seeking inspiration to play golf and build multimillion-dollar homes and plot hostile takeovers on their smart phones. In short, Carmel can handle the rich in spirit and the rich in material goods. The village is hopping—well, sedately, tastefully hopping—with new restaurants and shops. It’s an easy place to get your vacation money’s worth, whether that’s a lot of money or a little. 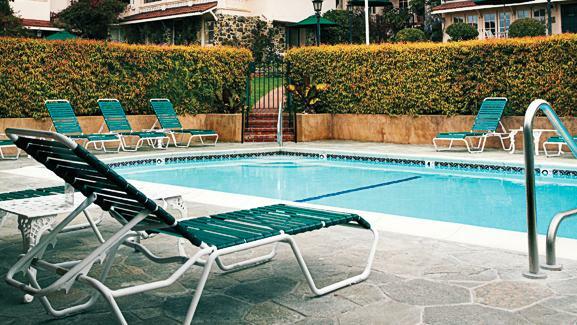 South of downtown, Carmel Mission Inn (shown; from $109 weeknights) has retro-mod turquoise-and-lime decor and a groovy pool. And the Main Barn rooms at the rambling, rustic Mission Ranch (from $120) are surprisingly reasonable. La Playa Hotel (shown; from $190, cottage suites from $425; two-night minimum) is luxurious, not flashy, with lovely gardens. A bit more aristocratic, L’Auberge Carmel (from $340, including breakfast; two-night minimum) ​is a Relais & Châteaux inn modeled after a home in Prague. 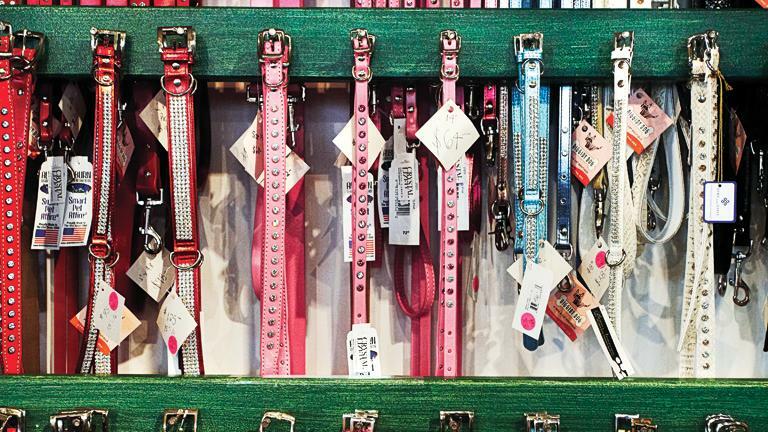 This canine-crazy town has a superior doggy shop, Diggidy Dog (Mission at Ocean; 831/625-1585); if you can’t afford that Rolex, you can at least buy a nice collar for Rex. Newcomer Twigery (Seventh near Lincoln; 831/626-8944) sells flowers and stylish garden tools and accessories. 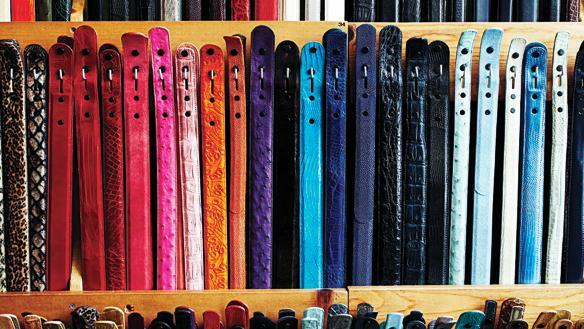 Pat Areias Sterling (shown; Ocean at Dolores; 831/626-8668) wows with custom belts—lizard, ostrich, in any color you can think of. Fourtané (Ocean at Lincoln; 831/624-4684) displays estate jewelry and the most Rolex watches (new and vintage) seen in one place since the last Davos economic forum. Breakfast: Good pastries, the life-affirming aroma of roasting coffee, and a pretty courtyard: The Carmel Coffee House (Ocean near Dolores; 831/626-2095) has it all for under $7 or so. Lunch: Head out to Carmel Valley and picnic on the sublime panini ($8.95) at Earthbound Farm (7250 Carmel Valley; 831/625-6219). 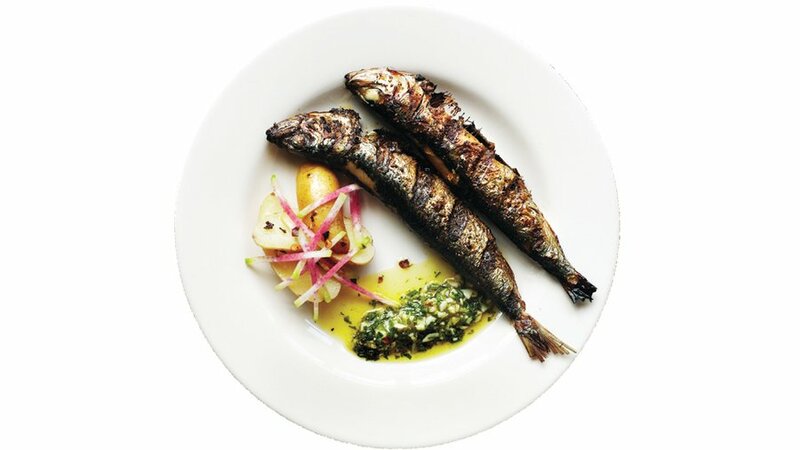 Dinner: Tasty tapas—like grilled Monterey sardines—rule the menu at Mundaka (San Carlos at Seventh; 831/624-7400). Dinner for two: $50. 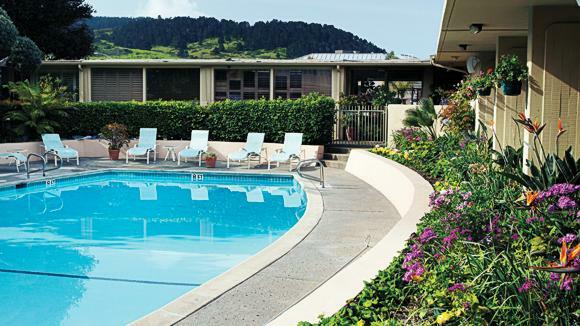 Breakfast: The Sunday Jazz Brunch at the Mission Ranch ($30; 26270 Dolores; 800/538-8221) gets you a genuinely good buffet, ocean views, and superlative music. Lunch: Try Cantinetta Luca (Dolores near Seventh; 831/625-6500) for pastas and pizza from the wood-burning oven. Lunch for two: about $60 with wine. 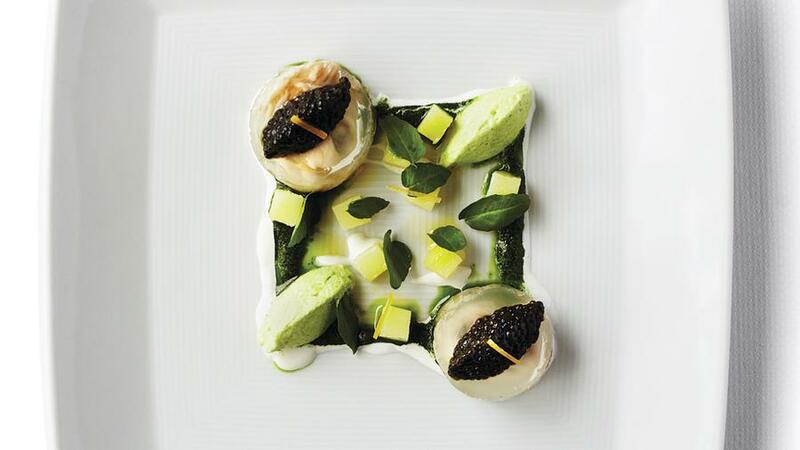 Dinner: Critics adore the intimate—just 12 tables—Aubergine (shown; Monte Verde at Seventh; 831/624-8578). Entrées look Frank Gehry–designed, and there’s a 4,500-bottle wine cellar. Dinner for two: $138, plus $110 for wine pairing. 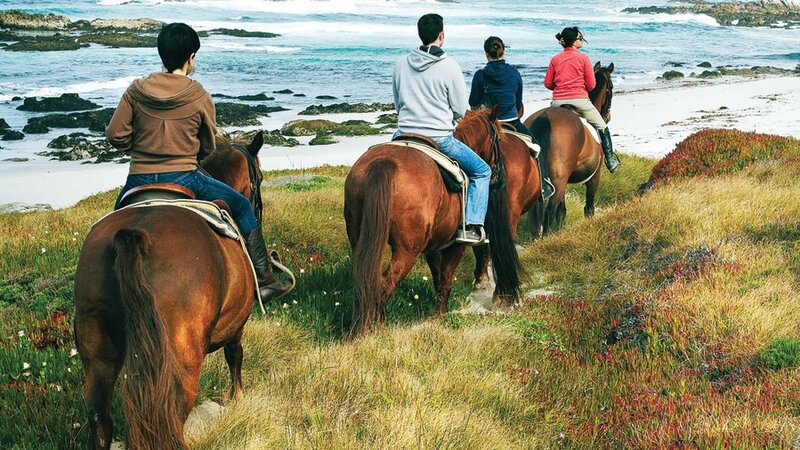 Trot along the world’s most beautiful shoreline with Pebble Beach Equestrian Center (shown; $65). Or plumb Carmel’s past (and see its prettiest neighborhoods) with Carmel Walks ($25; 831/642-2700). 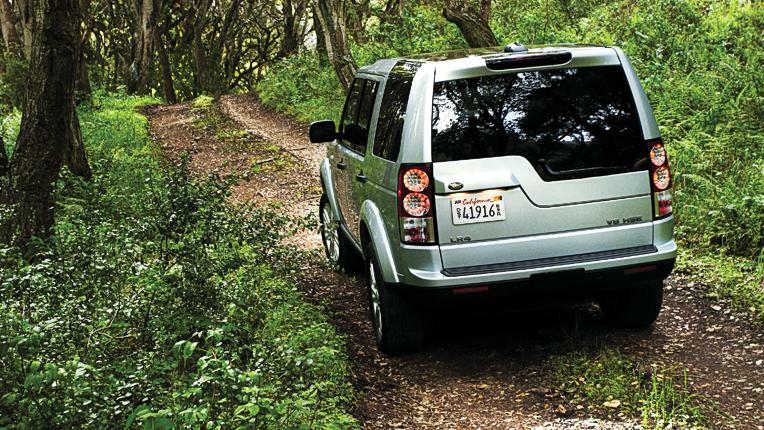 Prep for your next African safari by negotiating the mountain roads and hairpin turns (with an instructor) at Quail Golf Club’s Land Rover Experience Driving School ($250/hour; 831/620-8854).